Girls and boys alike love to ride in scooters around the neighborhood. Boys would be racing with their friends to the end of the street and back while girls would like to talk about the latest gossip in the park or while riding their scooters. So if you have kids who have been yearning to get a scooter, then this is the best time to purchase one for him or her. 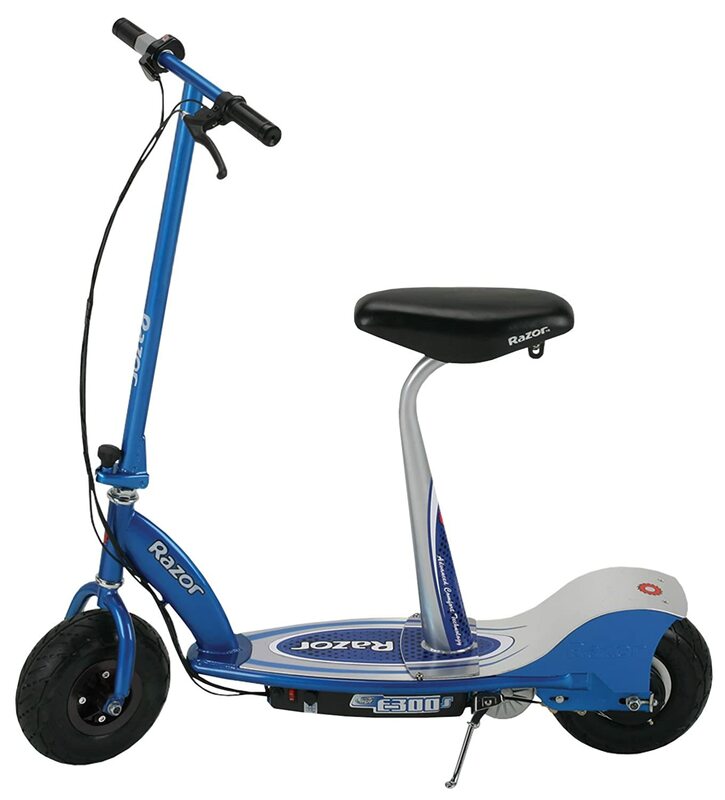 This one is not like the conventional scooter that you have to push with your foot so that it will move. It is powered by batteries that take about 8 hours to charge for about 40 minutes of use. There is plenty of time for kids to go around enjoying their scooter without wandering far because of the limited operation time. That way you can keep them close despite giving them a means of transportation. This model of seated scooter that can accommodate kids of almost any size. If you are not over the maximum weight limit of 220 pounds, I guess riding the seated vehicle. The chain-driven motor can take you anywhere you want to go. Just twist the grip to speed up and go fast up to 15 miles per hour. Seeing a kid ride downhill that fast is quite scary but always remember to tell kids about the dangers of riding at top speed. There is a hand brake for slowing down smoothly. 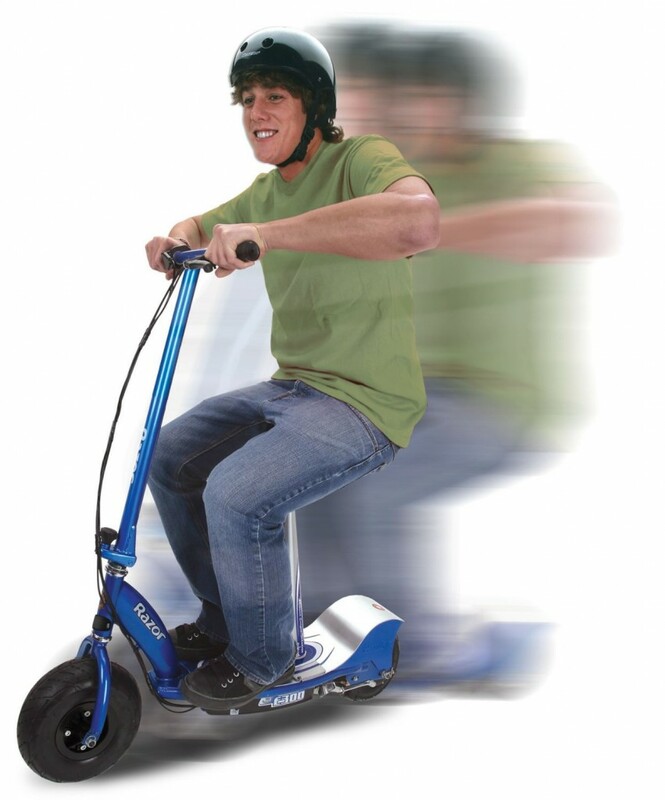 Charge the batteries for about 8 hours, and you will have 45 minutes of speed in your comfy seated scooter. The Razor E300S has pneumatic tires both front and back to ensure a smooth ride. 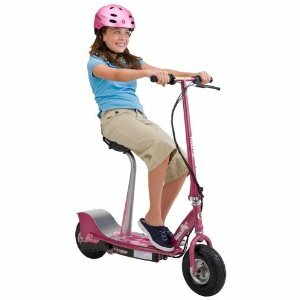 Let your kid enjoy the wind on her face with this scooter, and I’m sure she’ll be delighted for giving this to her. Safety equipment such as helmets and pads should always be worn when riding to make sure that your kid is safe always. The handlebars are adjustable to suit your kid’s height! 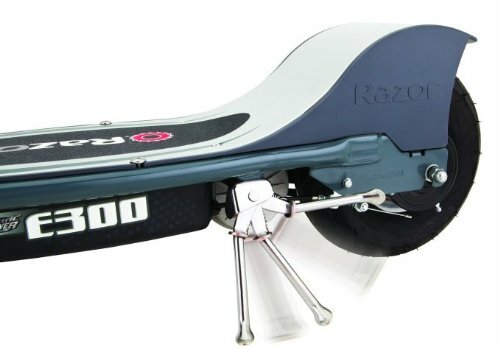 Another option to consider would be the Razor Pocket Mod scooter.